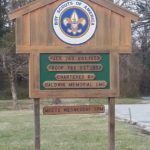 Baldwin proudly sponsors Boy Scout Troop 768 and Cub Scout Pack 768. Please see their websites for leader contact information and meeting schedules. 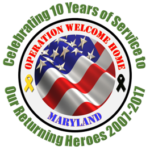 Operation Welcome Home Maryland – Baldwin supports Operation Welcome Home which greets flights of soldiers, sailors, airmen and marines arriving at Baltimore-Washington International Airport. Truckin’ 4 Troops – Baldwin supports the Truckin’ 4 Troops organization which supports wounded warriors in our community.